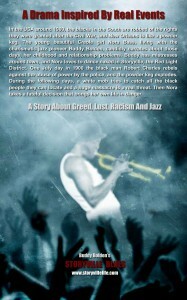 Buy the book at Lulu.com or Amazon.com. We recommend Lulu.com for punctuality and speed. Press the button to buy the book. 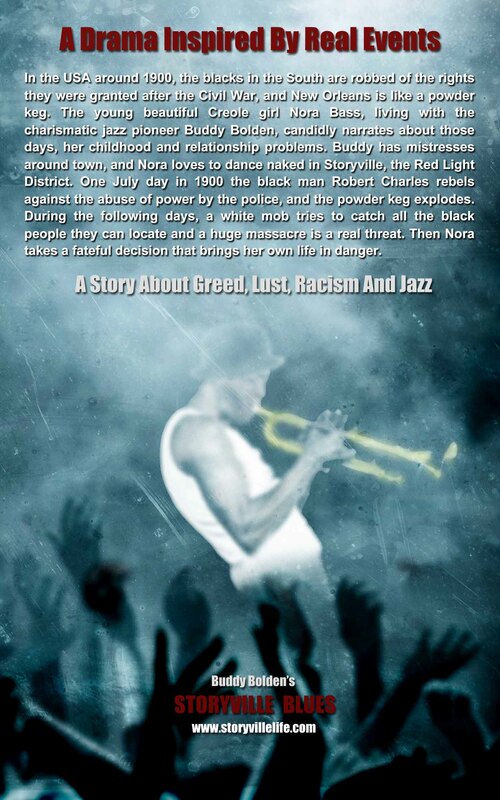 Nora is a young and beautiful Creole woman from New Orleans full of hope for the future. 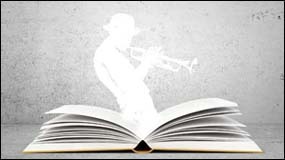 She meets cornet player, Buddy Bolden and is swept into a whirlwind romance with the charming bandleader. Contrary to her family’s wishes, she moves in with him. It isn’t long before the reality of her choice becomes clear. Debauchery begins to wear on their relationship and Nora decides to pursue her dream of becoming a dancer in the Red Light District and escape the turmoil. Times are difficult, to say the least, in turn-of-the-century New Orleans and Nora’s new profession increases the tension between her and Buddy. 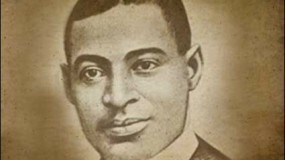 Racial inequality is causing unrest in the city and a close acquaintance of the couple, Robert Charles, is a key figure in the rebellion affecting Creoles and blacks. 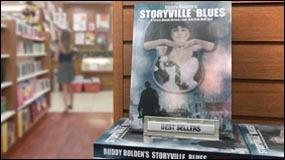 Nora finds herself in a precarious situation where her actions may or may not avert disaster. Only one thing is certain. Her decision drives this powerful novel toward its cataclysmic conclusion. 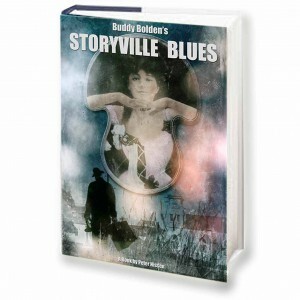 Buddy Bolden’s Storyville Blues is a charismatic fictional tale bursting with raw facts and true-life characters that any fan of historical literature will love. Nora er en ung og smuk kreolerkvinde fra New Orleans, fuld af håb for fremtiden. Hun møder kornettisten Buddy Bolden og bliver opslugt af kærlighed. På trods af hendes families ønsker, flytter hun sammen med ham. Det varer ikke længe før konsekvenserne af hendes valg viser sig. Deres vilde liv begynder at slide på forholdet, og Nora beslutter at forfølge sin drøm om at blive danser i ”The Red Light District” og dermed undslippe dagligdagens vanskeligheder. I forrige århundredes New Orleans er tiderne hårde, og Noras nye profession øger spændingerne mellem hende og Buddy. 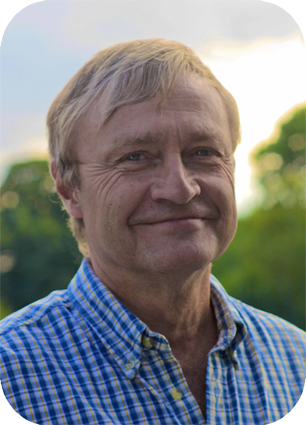 Social ulighed er skyld i uroligheder, og parrets bekendtskab med rebellen Robert Charles, er farligt for dem begge. Situationen tilspidses og Nora er i en vanskelig situation, hvor hendes indgriben måske kan afværge en katastrofe. Det er dog med livet som indsats. 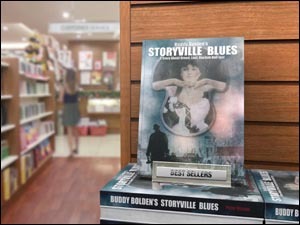 Buddy Boldens Storyville Blues er en inciterende fortælling, der sprudler af nøgne kendsgerninger og sande karakterer, som enhver fan af historisk litteratur vil elske.